Eight years after the devastating Carmel fires, scholarships were presented to the orphaned children of the prison guards who perished in the disaster. 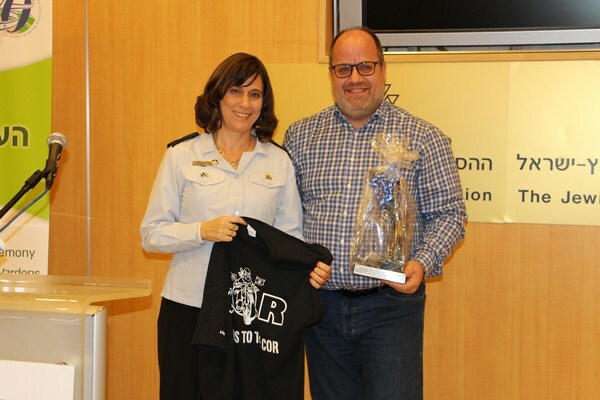 The scholarships were awarded by the Correctional Officers Ride Fund, which was raised by Toronto prison service guards in conjunction with JNF Toronto, Canada. 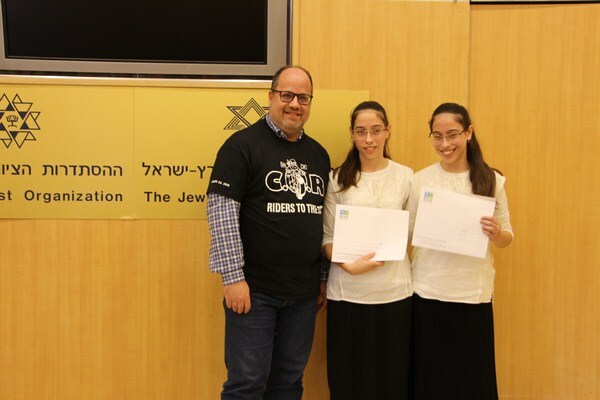 Michal Noach, whose late husband Avraham died in the Carmel fire, took part in the ceremony together with her twin daughters Roni and Gili, who were just six years old when they lost their father. During the Mount Carmel fires a bus carrying prison guards dispatched to provide reinforcements for the evacuation of Danun prison ran into a firestorm. 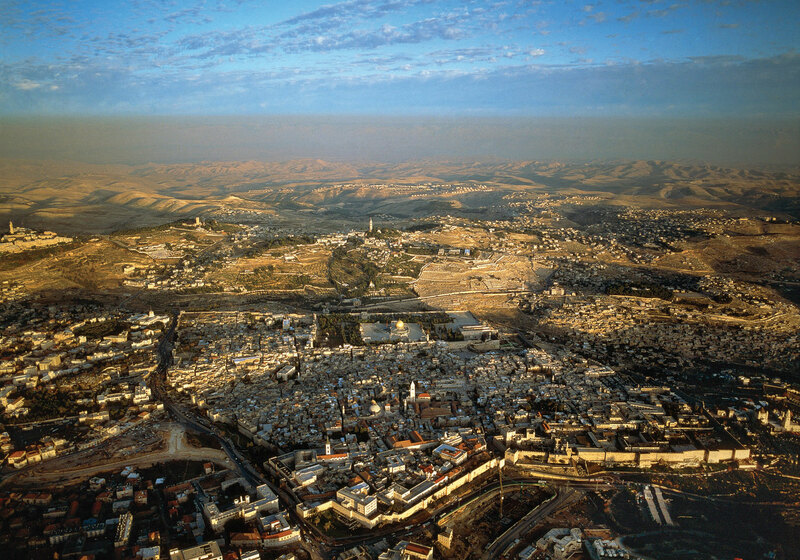 The driver and thirty-seven of his passengers, most of whom were cadets on an Israel Prison Service officers’ course, died in the flames. Three firefighters and three police officers who tried to rescue passengers from the burning bus also perished. In his final moments Avraham Noach chose to risk his life in an attempt to save his comrades by breaking down the door of the burning bus in hopes of extricating those inside. For this act he was posthumously awarded the Distinguished Service Medal. 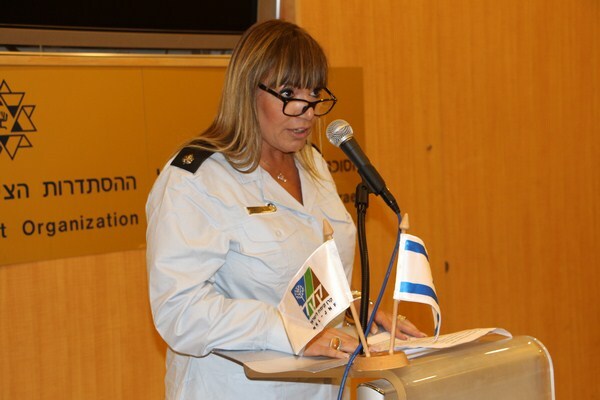 Dr. Efrat Arbel of the Israel Prison Service’s welfare department spoke on behalf of the prison service. “The Carmel blaze is the deadliest fire in the annals of the state. 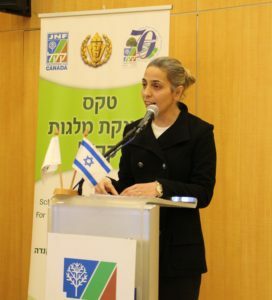 The presentation of scholarships to the families of those who died is an act that will contribute to the future of the State of Israel,” she said. “Hanukkah is a time of miracles, but our prayers were not answered and we were granted no miracle on the day of the Carmel fire,” said Lance Davis, CEO of JNF Canada. “But Hanukkah is also a celebration of heroism, and these bereaved families who have carried on with their lives despite their grief have performed an act of heroism. There is no need to thank us for our contribution: it is we who are grateful for the privilege of standing together with these brave families,” he said.